And so we arrived at our final day in New York. With a list of bits and pieces to finish off, we headed out and were instantly shocked by how cold it was. In fact cold is an understatement, the wind was fierce and it was bitter. First stop for the day was the apple store, followed by Abercrombie and then to Breakfast. The original place Miss NYC sent us to was closed so we headed into The Peninsula Hotel and when their menu failed to satisfy us, the waitress offered to check with the concierge for us. The concierge advised the best place to get breakfast would be Sarabeths on Central Park South. So we cold footed it back up 5th avenue, shimmied past Trump Tower, skipped round The Plaza and finally found ourselves at the door of Sarabeths. Although Sarabeth’s wasn’t on any of the lists we were given, I’m so glad we were sent there. The kind of restaurant for ladies that lunch and slightly over priced, but perfectly special for the last day in New York – plus they served breakfast well into the afternoon. We were fairly quick to order as all three of us were starving. Miss Mel & I went for breakfast options whilst Miss Mat decided on a lunch starter. We didn’t have to wait long before our food arrived. I went for the Buttermilk Pancakes with fresh strawberries. 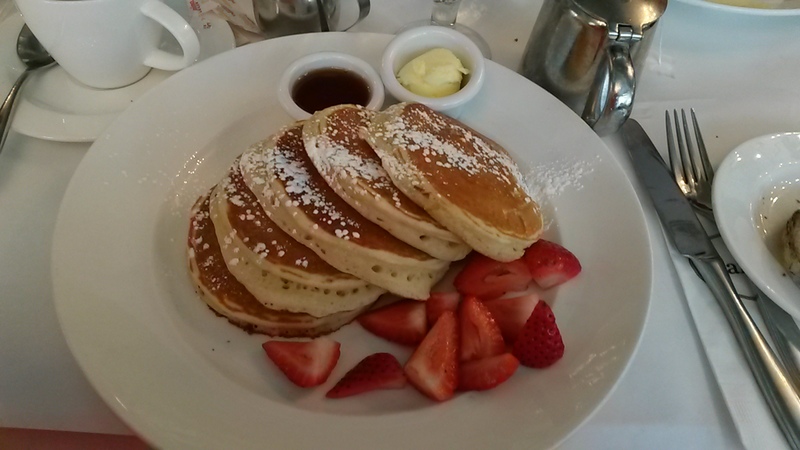 The pancakes were soft, light and spongy, just as you’d expect pancakes to taste in New York. The portion of strawberries was slightly stingy, but when I asked for more, they happily bought over a bowl full so I couldn’t really complain. In good old american tradition the pancakes were served with Maple Syrup – the only thing that was missing was the whipped cream! Miss Matt who was seeking something hot went for the soup. 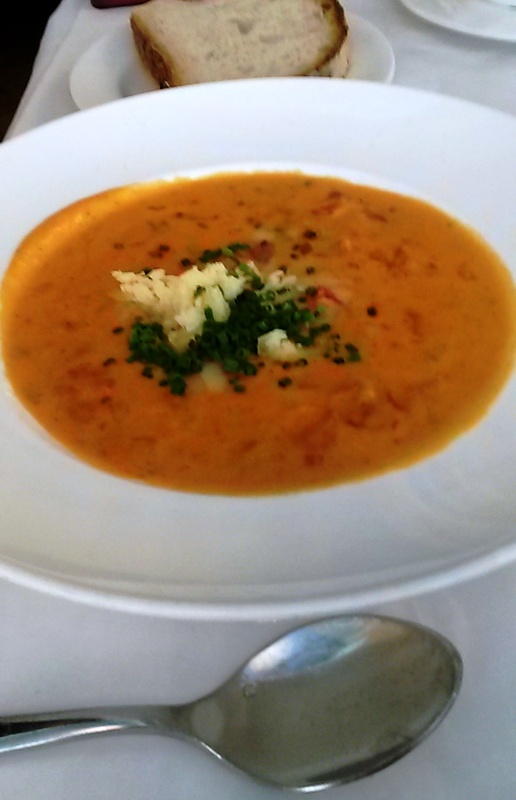 What appeared was a tomato, vegetable and cheese soup which was apparently quite delicious! Miss Mel however fancied something a little more eggciting (sorry, I couldn’t help myself!) 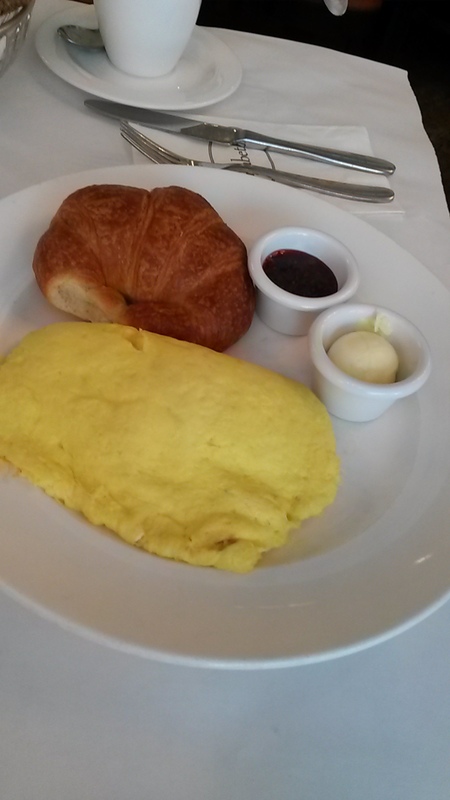 and went for the Cheese Omelette with a side of Croissant. The fact that she said very little during the eating process can only mean she thoroughly enjoyed it. 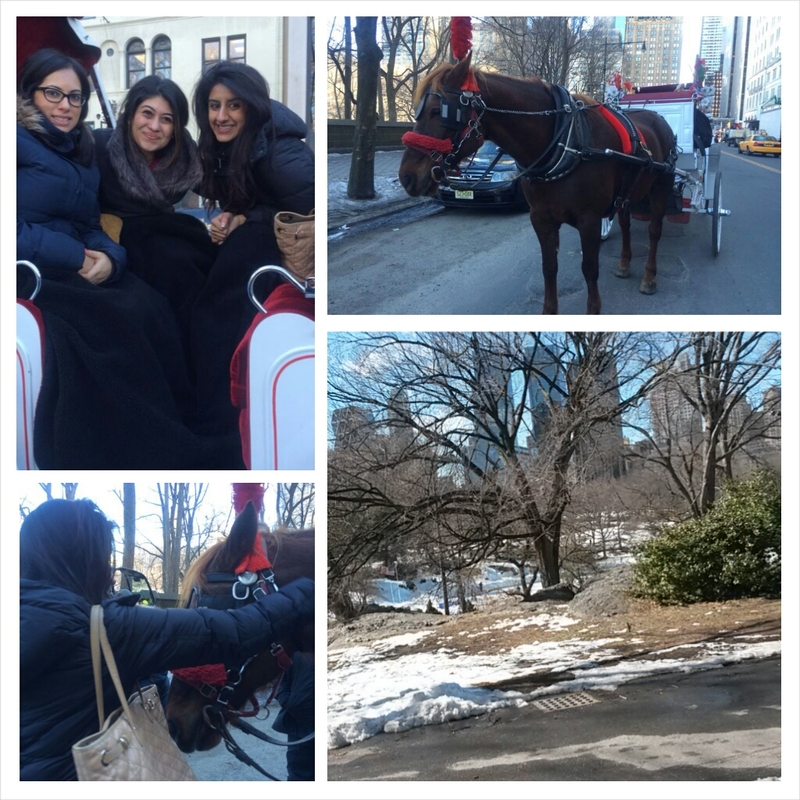 Having paid up and 2pm quickly approaching, we decided to partake in the last of our New York activities, so with the help of Charlie our fabulous furry friend, we froze our backsides off on a little trip around Central Park. 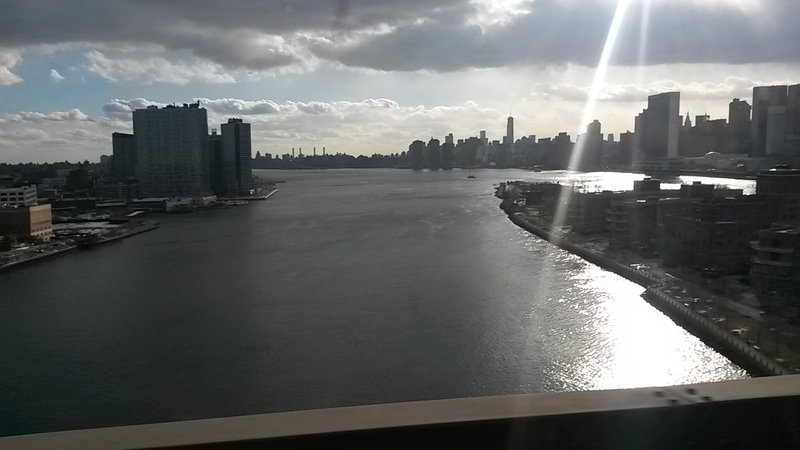 And with that it was back to our hotel to pack up our room and Au Revoir New York – Thank you for having us!